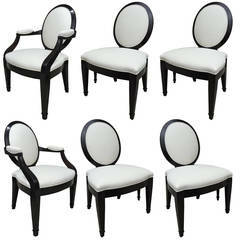 Set of 6 black lacquer 6 square design back cafe Carlyle chairs. One back with a slight square designed back difference in size not very obvious, circa 1930's-1940's. 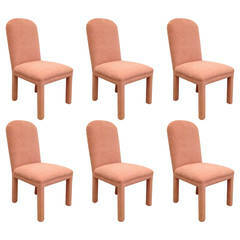 Vintage set of six dining chairs -suede soft coral upholstery, with a pleated simple back design all original. 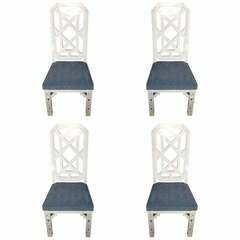 Matches a fossil stone dining table in separate listing..
Set of 4 James Mont attributed white lacquer pierced leg dining chairs. 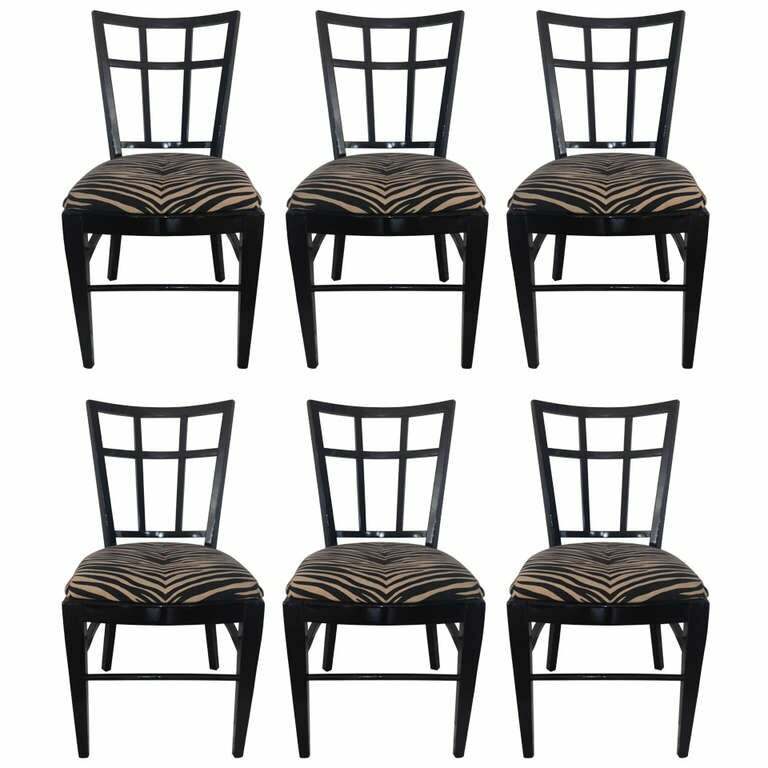 Six Donghia chairs by John Hutton, which consist of two-arm chairs and four armless in dark walnut and off white weaved fabric. 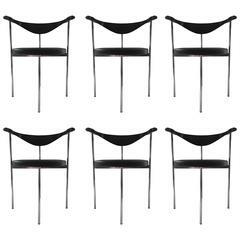 Set of typical form chairs, can be sold as pairs.